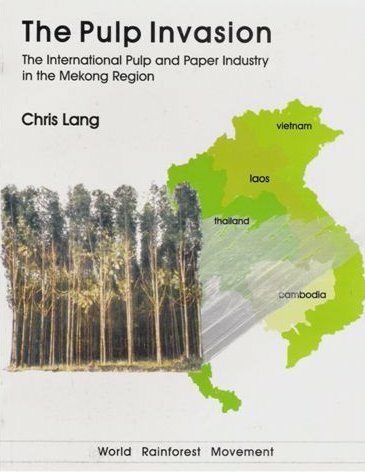 The imprint of colonial forestry in the Mekong Region is still felt today, as states continue to wrest control of forests from local communities. The purpose of British colonial forestry in the nineteenth century was to ensure that the colonial state maintained control over the forests in order to ensure a steady supply of timber. The imprint of colonial forestry in the Mekong Region is still felt today, as states continue to wrest control of forests from local communities. During the late eighteenth century, Britain’s oak forests were increasingly exhausted by the demands of the Royal Navy for shipbuilding. In 1805, the British launched the first battleship constructed completely of teak from Bombay. By the mid-nineteenth century there were well over one hundred British teak ships and the British appetite for teak appeared insatiable. In 1856, the British hired Dietrich Brandis as superintendent of the teak forests of Pegu division in eastern Burma. At the time many of Burma’s teak forests were in areas controlled by militant indigenous groups such as the Karen. Brandis, a German botanist who was later to become inspector general of forests in India, aimed to assert state control over Burma’s teak forests. Under the “taungya” system, which Brandis helped establish, Karen villagers provided labour for clearing, planting and weeding teak plantations. In return they were allowed to plant crops for the first few years between the trees. As the teak trees grew, villagers were moved to new land and repeated the process. As a result of this process, many villagers became dependent on the state forestry service and local resistance to the state takeover of forests became increasingly difficult. Neighbouring Thailand was never colonised by the British, but the taungya system of forestry lives on today in the service of the Thai state. 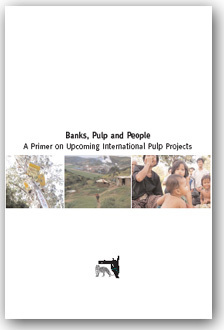 Since the 1960s, the Forest Industry Organisation in Thailand has established a series of “forest villages” in which villagers carry out a form of taungya forestry. The FIO created the first forest village at Mae Moh in northern Thailand in 1968, with the aim of reducing shifting cultivation and increasing reforestation. However, villagers are allowed no say in the management of the plantations and receive no income from the trees in the plantations. Neither do villagers receive land titles under the forest village scheme. 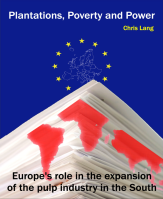 As the late Ted Chapman of the Australian National University pointed out in 1980, FIO’s reforestation amounted to little more than the confiscation of land which villagers already used. In July 2001, two of FIO’s forest village plantations were certified under the Forest Stewardship Council system (see WRM Bulletin 64). Yet the FIO’s forest villages were considered out of date more than twenty years ago. 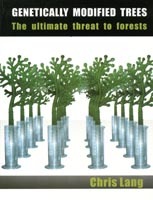 In 1978, Ted Chapman pointed out at a conference in Thailand, “Taungya reforestation, as it is now practiced in Thailand, is clearly out of step with recent recommendations by FAO, IUCN, and other organizations concerned with the welfare of dwellers on the forest margins.” Surprisingly, FSC-assessors SmartWood did not recognise FIO’s version of colonial forestry as the out-dated system of exploitation that it is. Meanwhile, the Lao Government is developing its own form of internal colonisation through taungya forestry. Last year, after an ethnic minority family in southern Laos cleared 10 hectares of land and planted it with rice, Department of Forestry officials informed them that the land was to be planted with 4,000 tree seedlings. The family will be allowed to harvest their rice this year. However, they are worried that they will not be allowed to use the land next year. While the family stands to gain nothing, the government got the land cleared for free to establish a teak plantation. 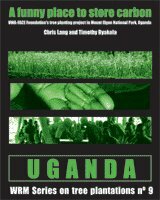 The Department of Forestry organised local villagers into work teams and trained them in planting the seedlings. Once the seedlings were planted, the Department of Forestry demanded that villagers maintain the plantation. This will involve several years of weeding and continuous fire control. The Department of Forestry is certainly enterprising in its use of villagers’ free labour and it has obeyed the letter (if not the spirit) of the forestry law. However, its actions have soured relations with villagers who are resentful of having their labour exploited for a teak plantation which will not provide them with any benefits. 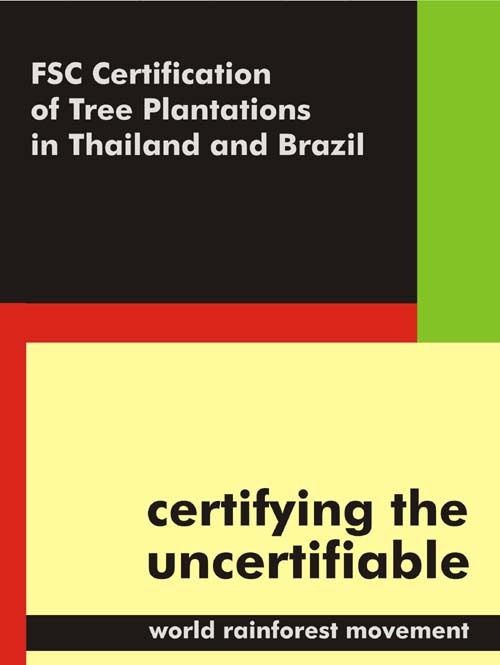 In December 2003, SmartWood suspended the FSC certificate of Thailand’s Forest Industry Organisation.